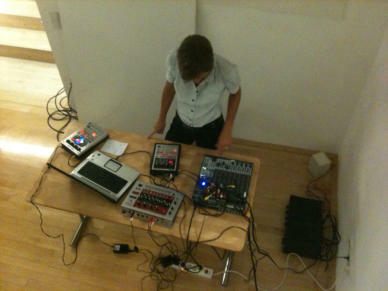 In 2012 Amelie Duchow and Marco Monfardini present the audio/video installation Memory Cam in the VHS Reutlingen, Germany. The installation has been realized with original unreleased film material from the Sync film archive, originated from 1948 up to the 80’ie’s. MEMORY CAM offers a journey through time, emotions and suggestions. A succession of images as landscapes, daily life, people and their habitudes offer in a magic chromatic game a sort of “time machine”, bringing back moments which we already thought to be lost. A sort of time certificate of the home movie cinema brings us back in regions and countries, moments with the family and friends mixed with the daily life of cities and countryside are restored in MEMORY CAM which therefore become a historic document. The film material selected for MEMORY CAM has been collected by Sync in the whole world for over 10 years, with the intention to renovate, digitalize and archive this visual heritage. The MEMORY CAM installation is realized with a “multiscreen “ projection, every projection consists of 20 individual screens. The spectator has the possibility to create his personal “assembly” of the images. Every spectator can experience his own personal journey without any imposed “direction”. 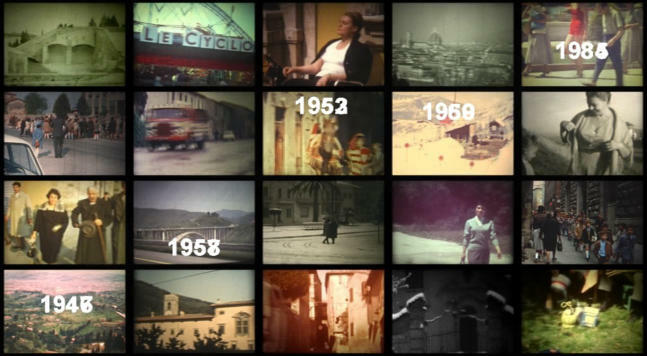 The selected film material ( over 1 km film), has been assembled to a continous flow of images and sound including a period of more than 30 years.